With the trial production of Kia’s SP Concept based SUV set to commence by the end of this month, the automaker looks on track for a mid-2019 launch. 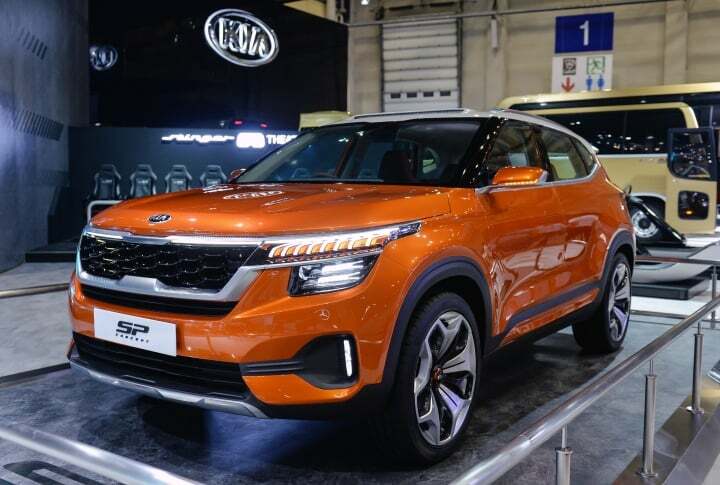 Kia’s SP Concept based compact SUV, speculated to be named as the Trezor, is going reach showrooms by the second half of 2019. Based on the same platform as that of the Hyundai Creta, Kia’s maiden offering for the Indian market is expected to be priced in-between the range of INR 9 lakh to INR 10 lakh. Ahead of this compact SUV’s launch later this year, Kia Motors India is going to commence its trial production starting this month end. If everything goes according to plan, we can expect the launch earlier than speculated i.e. during the first half of 2019 itself. The SP Concept based SUV, though competing in the same segment as that of the Hyundai Creta, is expected to offer a significant number of features and creature comforts. Creta being the segment benchmark with more than 10,000 units of monthly sales, the SP has ha a lot to catch-up to. Also Read: Kia to launch a cross-hatch to rival Maruti Suzuki Baleno! However, Kia plans to bridge this gap by offering a premium product which is loaded up-to-the-brim with features and creature comforts. This SUV’s feature list is likely to include items such a 360-degree camera, dual-zone climate control, leather upholstery, sunroof and a number of other creature comforts to make the cabin feel plush. Also Read: Kia Sportage will challenge Tata Harrier! The engine specifications of Kia’s SP concept based SUV will include both petrol as well as diesel engine alternatives. So far it is speculated that both of these engine are going to be 1.5-litre units. Though BS-VI complaint, initially, they are going to come in BS-IV configurations. This will be done in order to keep the prices of this vehicle competitive. Transmission options will include a 6-speed manual and a 6-speed torque converter automatic gearbox on both derivatives.